. 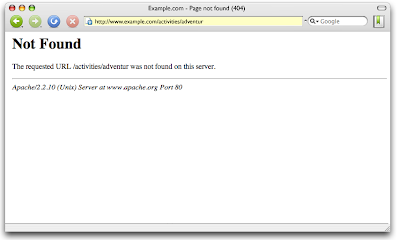 Crawl error sources displays the source URL containing the broken link to their site -- no matter where it exists on the web. So, if you're a site owner, help us help you fix broken links and make your "file not found" pages more useful by signing up for Webmaster Tools. Here's to an even better experience on the web! Have you ever clicked on a link only to have it unveil an unfriendly "file not found" message? We know it's a bummer, so now Webmaster Tools offers site owners a way to help all of us click seamlessly through the web. For years webmasters have been able to view the URLs on their site that are linked from various websites but actually don't exist. 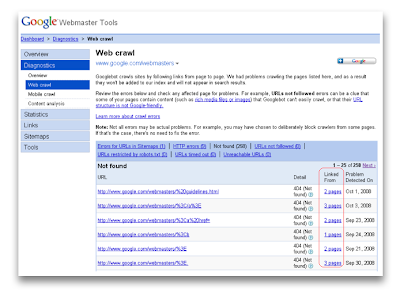 Today webmasters can fix these broken links through Webmaster Tools Crawl error sources. 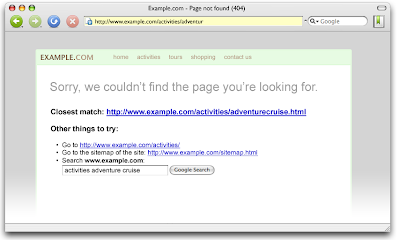 Crawl error sources displays the source URL containing the broken link to their site -- no matter where it exists on the web.